City DPRD is encouraging the Jakarta Provincial Government to soon realize the development of the Jembatan Besi Urban Village office, Tambora, West Jakarta.
" 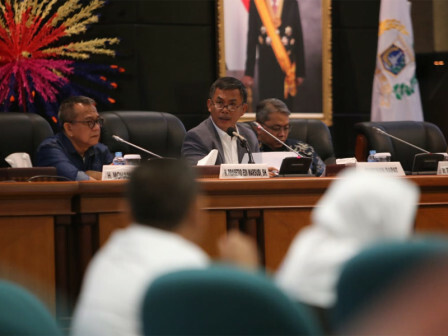 The government power lies in the urban village office"
City DPRD Chairman, Prasetyo Edi Marsudi disclosed that it should be realized thus public service could be more optimal. "The government power lies in the urban village office. If you need budget, let's we talk it," he expressed, in the meeting of City DPRD's Banggar on APBD Amendment's KUA-PPAS, Thursday (9/6) night. At the same time, TAPD Chairman, Saefullah wants the West Jakarta Administration to soon look for a land as a place of development. "It doesn't have to be 500 square meters. This has been budgeted twice,” he said.